Anchoring is one of the many important operations coming under the responsibility of deck officers. It involves the use of critical shipboard equipment and requires high level of situational awareness. The key responsibility of the deck officer at an anchor station is to use the anchoring machinery and available man power for carrying out the operation safely and efficiently in accordance with the master’s instructions. 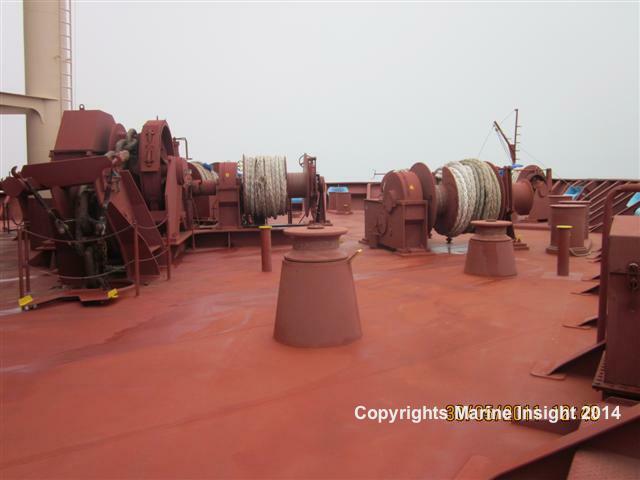 This article provides practical suggestions for deck officers on anchoring operations. Anchoring operations are of 2 distinct types. In either case, the deck officer has 3 main responsibilities. Normally, the operation of windlass is done remotely from the controls. 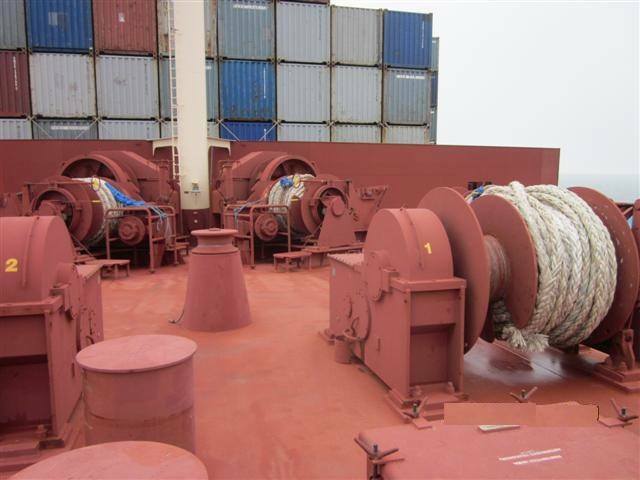 It is best preferred that the windlass operation is carried out by the deck officer, provided the controls are positioned near the ship’s side or in such position that he can keep a look at the anchor and its chain while operating the controls. Otherwise, it is preferred to assign the duty to a skilled seaman guided with clear instructions. 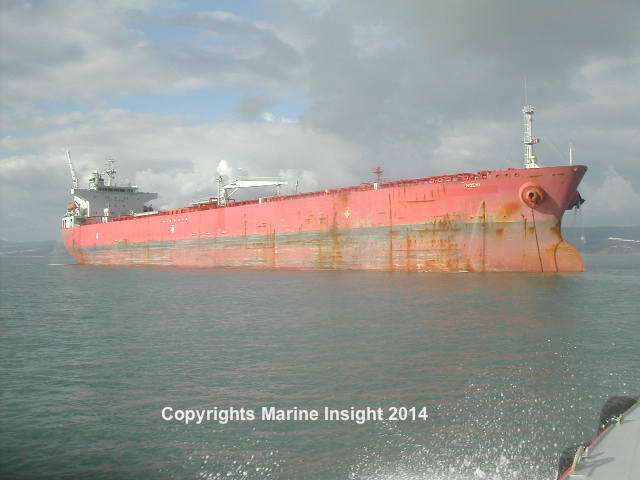 As the officer is in charge of reporting the position and stay of the anchor and its chain, it is recommended to keep a visual check on the same by himself. Any uncertainties or out of ordinary action observed during the anchoring should be reported to the Master in no time. Tracking the number of shackles lowered is done by visually observing the ‘kender’ shackle of the chain. Kender shackle is bigger in size and is usually marked in different colour patterns or numbers for easy sighting. In modern ships, the length of the chain below the hawse pipe is digitally displayed on the control panel, however it is better to have a visual check than to rely on it. If the officer is operating the windlass, a crew member can be assigned for the duty. Remember – 1 shackle is 27.5 meters. Reporting is another vital duty of the deck officer in charge of the anchoring operations. b. Cardinal Points – Reporting using the points system with every point 11.25 degrees. Example – 2 points on starboard bow. Along with the Position, the stay of the chain is also to be reported. Stay of the chain is the tendency of its movement. While reporting the following terms are to be used for the respective observations. a. Short stay – when the chain is leading in a short range from the ship’s side. b. 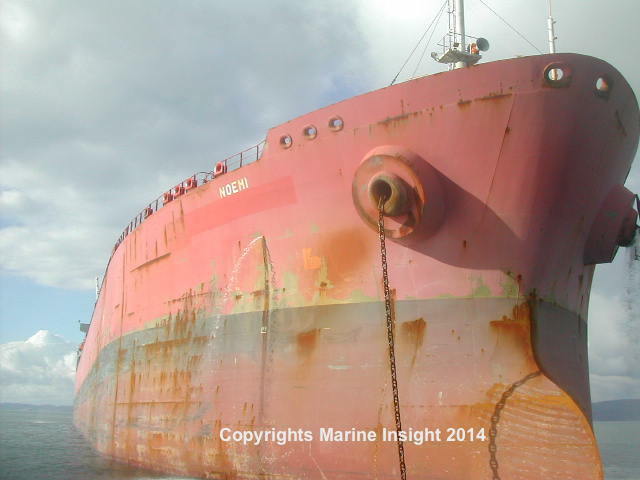 Medium stay- When the chain is leading in a medium range from the ship’s side. c. Long stay- When the chain is leading in a longer range from the ship’s side extending from the hawse pipe. d. Up and Down – When the chain is vertically leading parallel to the ship’s side. It will not extend and will be leading vertically downwards from the hawse pipe to the seabed. Example of reporting – Position 2’o clock, long stay. Different officers have different reporting styles. It is good to use the way an individual is comfortable with, as long as the Master and the rest of the anchoring team is clearly able to understand. In normal cases, while letting go the anchor, the chain needs to be stretched out for the anchor to hold the vessel. After dropping the anchor, the chain stay will be longer. When the anchor is holding to the seabed and the chain is settling down, the stay comes gradually to medium and then to a short range. Finally the chain will go up and down which means the anchor is holding and the chain is settled down. b. While checking the anchor and its chain, find the apt position from where you can observe the anchor and avoid leaning over from the ship’s side. Anchoring is a crucial and highly practical operation. In most of the cases, theoretical guidelines and bookish knowledge are helpful only to an extent. Situational awareness and spontaneity of the officers, and their instant decision making capability helps to carry out the operation fruitfully. A good knowledge of ship’s maneuverability and the limitation of the equipment involved will further help the officer to make such spontaneous decisions. The competency of the officer is decided upon his ability to consider the situation, command his crew and to assess the orders give by the Master, to carry out the operation safely and efficiently.